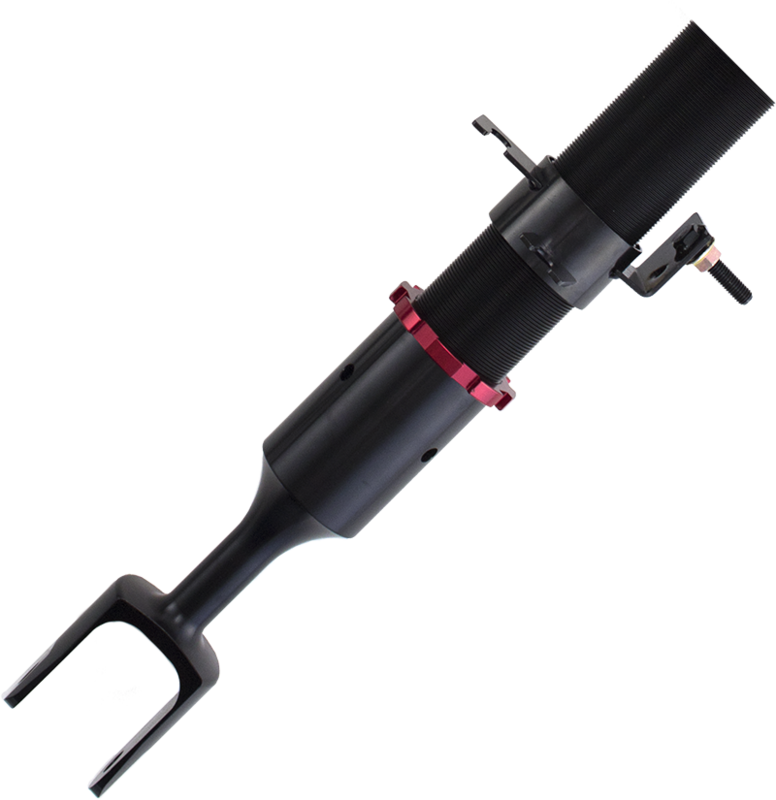 The adjustability you only get with air. The quality, performance and look you only get from Air Lift Performance™. 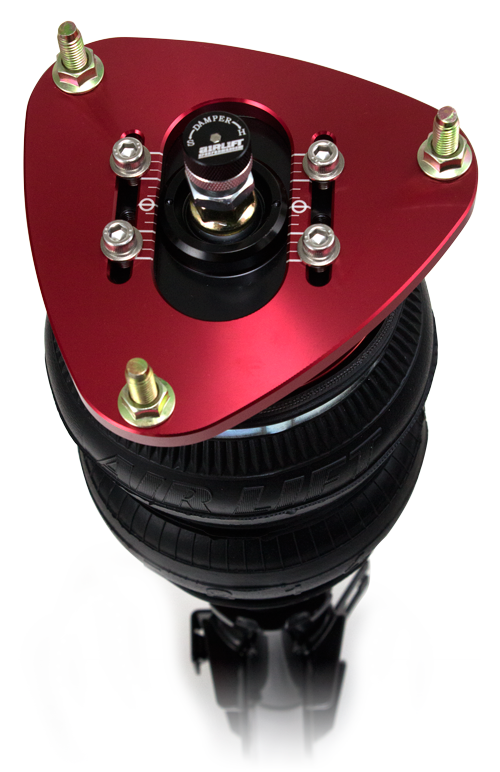 No other suspension gives you the ability to comfortably drive your car daily, slam it to the ground for show-winning stance, or tear up your favorite race track: all with the touch of a button and twist of a knob. 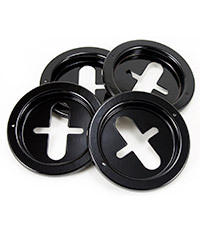 Every upper and lower mount is designed to ensure an exact fit to your vehicle. 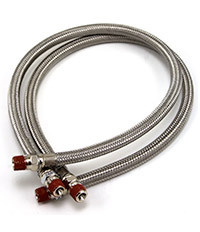 Kits always include tabs and brackets for brake lines and ABS wiring, just like OEM. Since each kit is custom made for a particular chassis and painstakingly tested, you can be confident that it's got what it takes to take your ride to the next level. 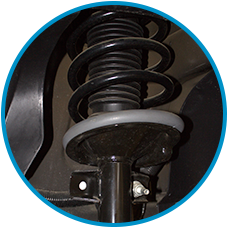 Set the strut/shock to your desired length to give you additional lift if you want more ground clearance or that perfect slammed position. 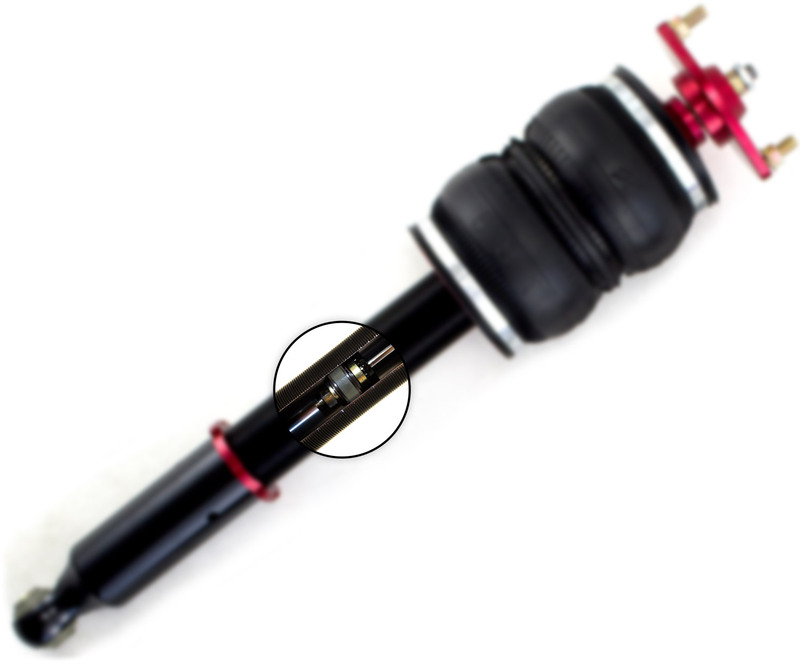 This flexibility allows you to tune the suspension to match your needs without giving up precious stroke. 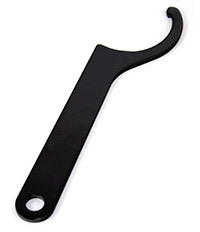 Precision ground and triple chrome plated piston rod provides long life and reduces friction. 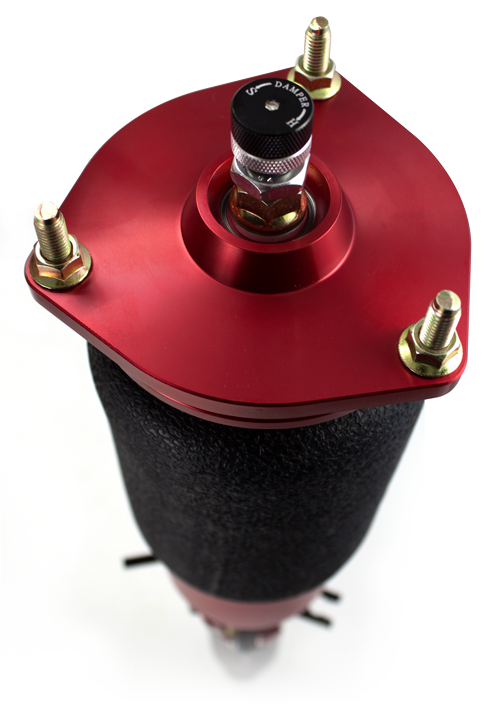 Floating divider piston keeps Nitrogen gas charge isolated from shock oil to prevent cavitation and loss of performance. 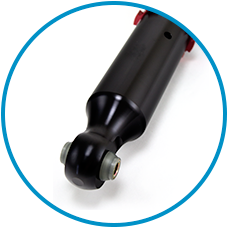 Easily tune dampers with 30 levels of adjustment. 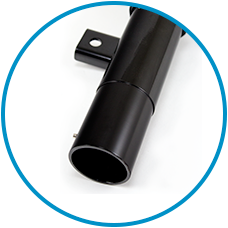 With Air Lift’s large range of available damping, you can always find a setting to suit your needs. Like it soft and comfortable for boulevard cruising or stiff for ultimate response and roll control at the track? We have you covered. 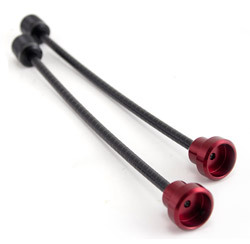 Damper adjustment extenders included with select kits for vehicles with hard to reach shocks/struts. *Available on select kits. 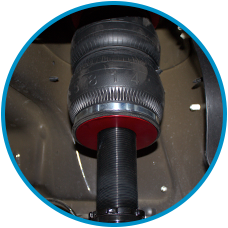 Degree of camber adjustment varies per kit. 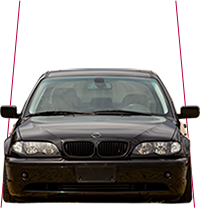 Maintain the best tire contact patch on the road as possible. 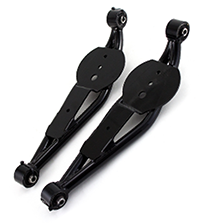 Our adjustable camber plates not only help you achieve a show winning stance, but also help you dial in the optimum geometry for maximum chassis performance. 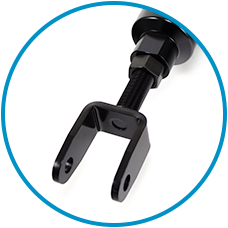 When the application calls for custom or specialized hardware, we include it in the kit to ensure the best fit, the highest performance, and the lowest ride. We know stuff happens. 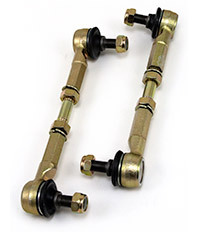 Isn’t it good to know that Air Lift Performance will cover every part in your kit for one year and do it with a smile? 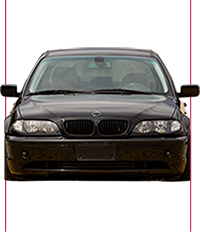 We pride ourselves in being a customer service leader in the automotive aftermarket. Don’t take our word for it. Ask our dealers and customers! That’s the peace of mind you get when our logo is on the box. 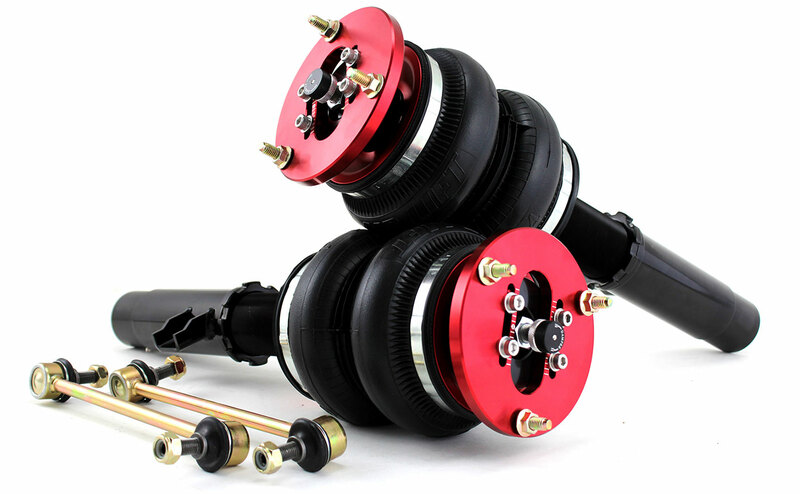 Find the Performance Series kit that fits your car.